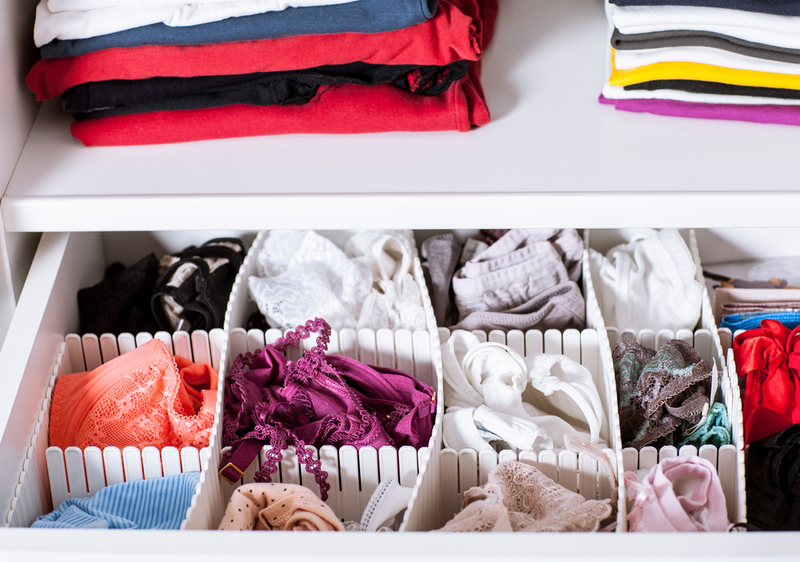 As a professional organizer, my clients are often frustrated by their closets and overwhelmed by piles of garments. They seek me out for answers to their storage dilemmas, and they are usually surprised when I deliver a list of questions in response. Those questions, based on years of experience as a professional organizer, are the basis for building terrific storage solutions. A great custom closet should be designed and organized to suit the way you live and the way you think. The very reason the generic closet you have now isn’t really working is that it wasn’t designed with you in mind. Closet designers and contractors are wizards at taking a space and creating storage in many different ways. Because there are so many variations, in order for them to work their magic in a way you will love, you need to be able to convey to them what you want. 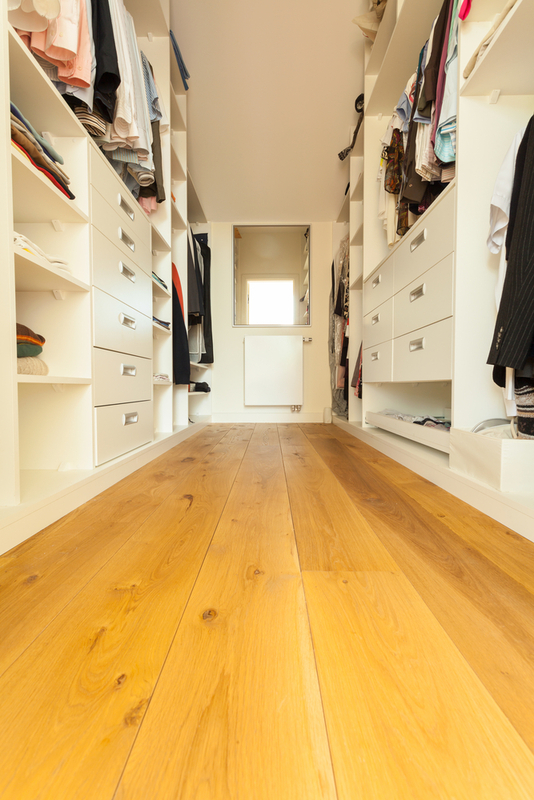 Before you inquire about a custom closet project, start by asking yourself these 12 questions. The answers you come up with will help build a closet that truly suits you, and help you explain to experts the kind of storage you need. Does more than one person share the closet? If the answer is yes, you’ll want to answer these questions separately for each person using the closet. The two sides of a shared closet do not have to be a mirror image of each other. A custom design can and should take in the needs of both people. Do you love or detest hangers? Some people love to see everything hanging up. Other people are happiest with their clothes folded and stacked, and without smart storage, they end up piling them in chairs and even on the floor. How tall are you? If anyone using the closet is tall, the bars should be raised so garments have plenty of room without dragging the ground or getting entangled in hangers on the lower bar. Likewise, if you are smaller in stature, you may wish bars to be lower so you can easily use them without a stepstool. 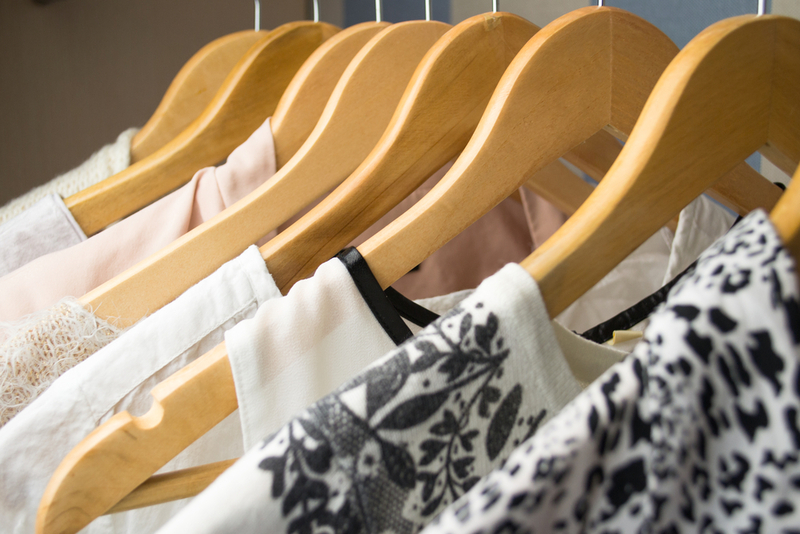 How many garments do you plan to hang in your closet? An accurate count of your hanging garments (plus things you wish were hanging) can best help your designer meet your needs. A foot of hanging bar space may hold about 10 dress shirts or 5-6 suits or dresses. How many long garments do you have? By long, I mean anything that cannot hang on a double bar without dragging. If you prefer to hang trousers or slacks by the waist with clip-style hangers, you’ll need to count these in your long garments. Are you ‘hidden storage’ or ‘open storage’ minded? Getting organized means different things to different people. While some would prefer for clothing to be put into drawers or armoires with doors that close, so clothing is hidden from sight, another group could simply not function that way. These folks do best if they can see and find items stacked on open shelving. What do you have a lot of? You may have a collection because you love it, such as purses, or maybe the weather where you live dictates what you stockpile, like sweaters. Either way, your custom closet needs to be able to house your collection. How many pairs of shoes need to be accommodated? 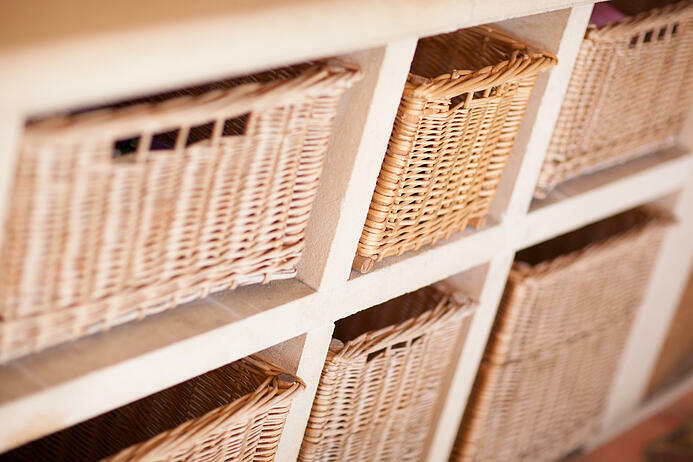 Since shoes often end up in an unorganized jumble, think about what storage system you would actually use. Are you more likely to hang them on a rack, kick them onto low shelves as you remove them or pick them up and put them on higher shelving? How many pairs of those shoes are tall? Not all shoes can go on a rack or regular height shelf. Be sure to count your dress boots, winter boots, hiking boots and so on separately, as they will need taller storage. Would you also enjoy having clothing accessories in the closet? If you’d like to have belts close by the trousers, make a note. Likewise, jewelry, scarves and other accessories can be worked into the design. You can even add baskets or drawers for undergarments and swimwear if you let your closet expert know. What is frustrating about your current closet? Now that you are armed with a list of all the things you want your new closet to accommodate, it’s a good time to make sure the contractor’s plan is going to eliminate frustrations you currently have. Is there anything not currently in your closet you wish was there? Frequently, homeowners turn to closets in other rooms or storage tubs for storing off-season or extra garments. Now is the time to make sure those items are included in your dream closet. A custom closet is something you will enjoy using immediately, and if you want to sell your home later, you can be sure buyers will appreciate a thoughtful, efficient closet as well. Lea Schneider loves finding order in the midst of chaos. Lea is a nationally recognized organizational expert and journalist who writes on home organization for The Home Depot. Info on Home Depot's closet and storage installation services can be found on the company's website.